Starring: Tom Cruise as Ethan Hunt ($470 million net worth), Rebecca Ferguson as Ilsa Faust, Jeremy Renner as William Brandt ($35 million net worth) and Simon Pegg as Benji Dunn ($20 million net worth). Miles Teller as Reed Richards ($2 million net worth), Kate Mara as Sue Storm ($10 million net worth) and Michael B. Jordan as Johnny Storm ($1 million net worth). Starring: Jason Bateman as Simon ($30 million net worth), Rebecca Hall as Robyn ($7 million net worth) and Joel Edgerton as Gordo. 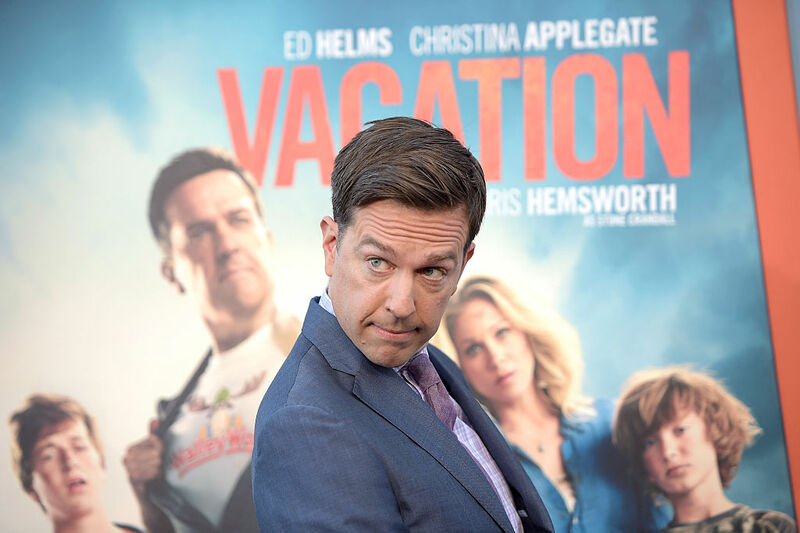 Starring: Ed Helms as Rusty Griswold ($20 million net worth), Christina Applegate as Debbie Griswold ($20 million net worth), Skyler Gisondo as James Griswold, Leslie Mann as Audrey Crandall ($18 million net worth) and Chris Hemsworth as Stone Crandall ($50 million net worth). Starring: Paul Rudd as Scott Lang/Ant-Man ($25 million net worth), Michael Douglas as Dr. Hank Pym ($300 million net worth), Corey Stoll as Darren Cross/Yellowjacket ($3 million net worth), and Evangeline Lilly as Hope van Dyne ($15 million net worth). Starring (voices): Sandra Bullock as Scarlett Overkill ($200 million net worth), Jon Hamm as Herb Overkill ($30 million net worth), Michael Keaton as Walter Nelson ($15 million net worth), Allison Janney as Madge Nelson ($4 million net worth), and Steve Coogan as Professor Flux/Tower Guard ($12 million net worth). Starring: Meryl Streep as Ricki ($65 million net worth), Kevin Kline as Pete ($32.5 million net worth), Mamie Gummer as Julie ($10 million net worth) and Rick Springfield as Greg ($12 million net worth). Starring: Amy Schumer as Amy ($1 million net worth), Bill Hader as Dr. Aaron Conners ($8 million net worth), Brie Larson as Kim ($2 million net worth), and John Cena as Steven ($35 million net worth). Starring: Adam Sandler as Brenner ($340 million net worth), Kevin James as Cooper ($80 million net worth), Michelle Monaghan as Violet ($16 million net worth) and Peter Dinklage as Eddie ($10 million net worth). Starring: Jake Gyllenhaal as Billy Hope ($65 million net worth), Rachel McAdams as Maureen Hope ($14 million net worth), Forest Whitaker as Tick Wills ($40 million net worth) and 50 Cent as Jordan Mains ($15 million net worth).